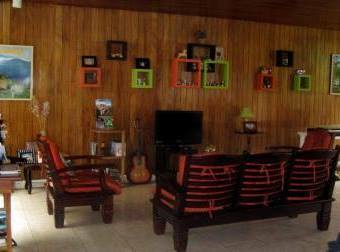 Hostal Cumbres del Volcan is owned and operated by a retired American and his Salvadoran wife. 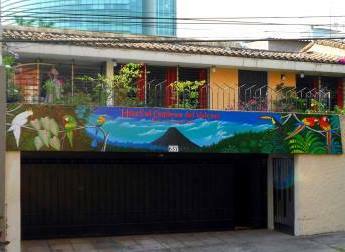 We have 2 locations in San Salvador: (1) Colonia Escalon 1 block from the Hotel Crowne Plaza, and (2 ) Colonia Flor Blanca 1.5 kilometers west of the Centro Historico. 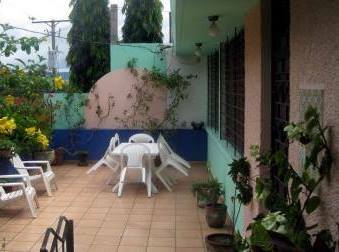 Both locations have a mix of beautiful private rooms and shared dorm rooms popular with International Back-packers. 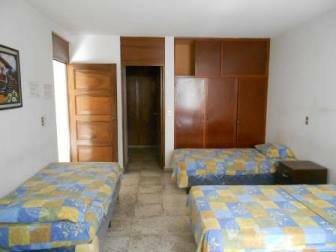 In Escalon the shared dorms are $8.00 & $10.00 per person (Bunk Bed or Single Bed). 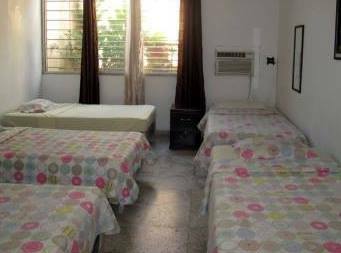 Private rooms are $20.00 for a double and $30.00 for a triple with shared bath, or $40.00 & $45.00 for double or triple air conditioned room with private hot water bath & breakfast included. 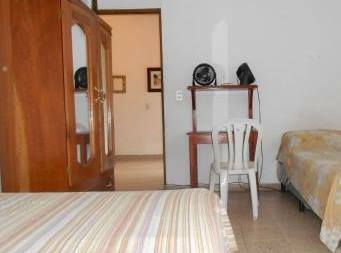 In Flor Blanca we have shared dorm rooms for $7.00 per person with bunk bed, and large private rooms (many with balconies) from $25.00 or $30 with private bath. Both locations have tree WiFi. 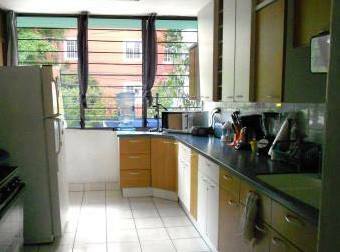 cable TV, fully equipped kitchen available for all guests, piano (Flor Blanca) or keyboard (Escalon), guitar, lounge areas, patios, terraces, and garden.